This is an excellent resource that I can’t recommend highly enough. I have been thinking hard about my one word for 2014, and it’s been a struggle. No, I’m not choosing struggle as a word, and I’ve strongly considered not choosing a #oneword2014 resolution. I have read a lot of colleagues for whom this really works well, but it just doesn’t totally feel like something that works for me. Mostly because regardless of which word I consider, what I really end up looking for is a “cheat” – a word that can mean lots of things since I can’t choose just one. And in writing that, what I realized that my word is staring me right in the face: choose. I am choosing to commit to me, to remembering that I have a choice (even when, and maybe especially when, it doesn’t feel like I do). I spent an amazing weekend in October at a workshop designed to help me realize my fullest potential. The biggest thing I took away from the weekend is how much I control whether or not I am happy. 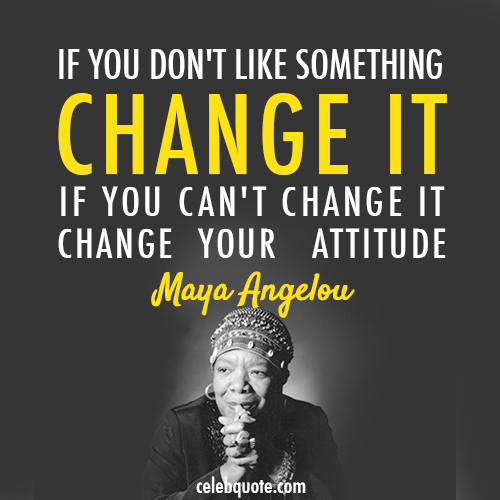 Even though I have taught students how to reframe their perspectives toward an internal locus of control, it was a great experience to remind how to do that myself. I have been putting several of the strategies to use since October, but haven’t laid out my goals properly, so instead of writing resolutions (though, in looking at them, you might see “resolutions”), I am writing my plan for choosing to realize my fullest potential and choosing to be the happiest I can possibly be. As a part of my reflection for this post, what came out of my workshop, and some awesome conversations with my coach/mentor, I’ve been thinking a lot about gratitude and playing big lately. My coach asked: what have you convinced yourself you can’t get, so you’ve stopped wanting it. I went back to two posts I wrote well over a year ago when I started Tara Mohr’s 10 rules for playing big (here and here). I never got past number two because I didn’t feel like there was anything I could do – I puttered out because I didn’t think my big goals were achievable. I could certainly ponder what those absolutely huge moments of playing big looked like, but they involved quitting my job and that didn’t seem like such a good plan. Beyond that, I truly couldn’t think of what it would look like for me to truly do anything gasp-worthy because I’m just a little too logical and practical, it turns out. As much as I’m an idealist (per my INFJ), it seems that only applies when thinking about the world and other people. When considering my own future, I am very, very much a realist. Is this about my gender? Can I learn to do this (play big – dream big)? What would that even look like? Luckily, I got some great practice at my workshop and I have an amazing cast of supporting characters in my life. Most of all, I know that I can choose to play big, dream big, and achieve my dreams. I will choose to spend my time intentionally and nurture the things in my life that make me happy. This has been a year of running – something I never thought I would say. I’ve been reading a lot of other student affairs professionals’ blog posts about running in 2013; it seems many of us have found ourselves in this sport, this community, this fitness tactic, this avenue to wellness. In junior high and high school, I participated in track, but I was very open about not actually enjoying running. I was a high jumper, and usually negotiated with my coaches to run as little as humanly possible, preferring to spend my time jumping (or goofing around in the gym while the coaches were up on the track with the runners). While I was a relatively successful high jumper, I never found success or joy in running; it was merely a means to an end – run a half mile and then I could go practice jumping. High school ended and so did any running on purpose. My adulthood running journey began with my husband. He ran to stay in shape outside of basketball. I never understood it, and had very little desire to start a running habit. I did want to do something active with my husband, though, and since I’m worse at basketball than just about anything else, I decided to give running a try. 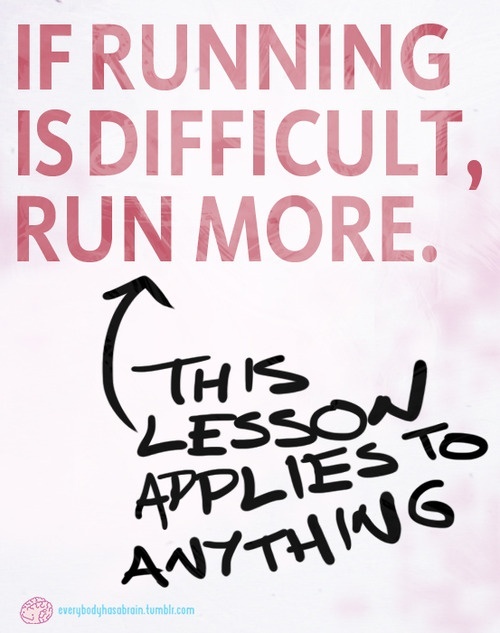 Lucky for me, my hubby is an excellent coach; he joined me for very slow and short run/walks as I started off. He told me how great I was doing when I felt like I was going to die. He helped me find my own pace and motivation to run. 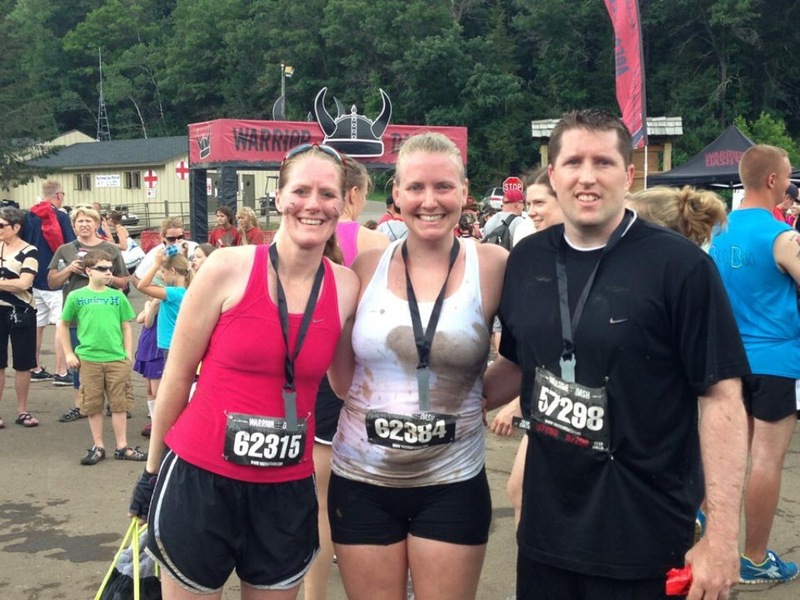 Soon after, I got the bug to try a race and did my first and second 5K races ever. 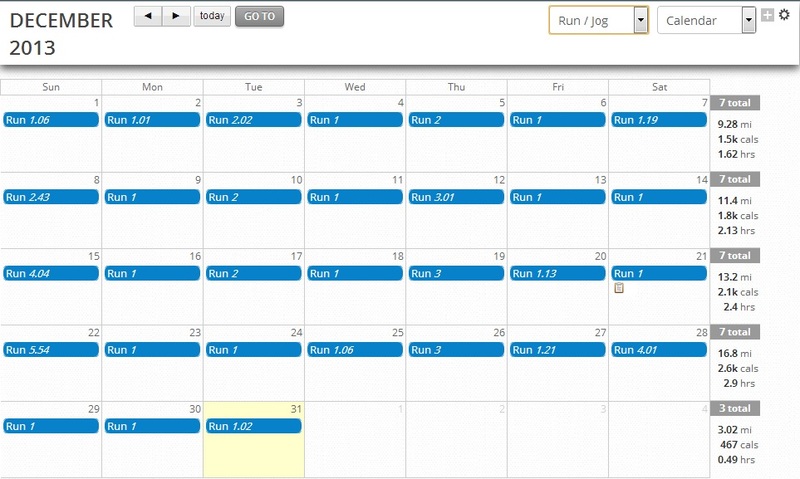 I was mildly athletic and probably could have finished a 5K with little to no training, but creating a training plan gave me the structure to build running into a habit. 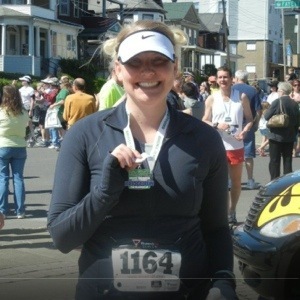 In 2012, I committed to running my first 1/2 marathon with hubby. He was training for a repeat appearance at the Fargo 1/2; unfortunately, it happened the weekend we closed the halls, so I couldn’t fly back to the Midwest to do the race with him. Instead, I signed up for the Binghamton Bridge to Bridge 1/2. We joined Planet Fitness (not a gym – no lunks) and I made myself get on the treadmill to get in my training miles. As the weather warmed, I tried to get out on the pavement, but it was a tough transition. I didn’t really enjoy my time out running – it was a means to an end (the race). After my first half, which I finished in 2:43 – a 12:30 pace, I took a break from running for awhile. A month off in June, then back to regular runs in July, and then August training hit. In October, I took a new job and we moved across the country. I didn’t begin running again until February of 2013. And then the year of running began. I’ve written before about the amazing impact finding the student affairs community on Twitter has been for me (specifically #SAChat). 2013 began with an addition to that community – a fitness challenge. Over the years, I have participated in and organized on campus “New Year, New You” competitions. Each of them was structured a little differently, but the main goal was to spend time being active and lose weight. Some awesome Twitter colleagues began #SAFit and a similar challenge, except it was with online colleagues rather than on campus. Though my team did not win, being a part of #SAFierce helped me start the new year strong, dedicated to wellness and being more healthy. I began my commitment to taking better care of my body so that it will carry me for many, many more years. I also took a pledge (started by Ed Cabellon) to make healthy food choices, exercise regularly, and share with friends and family my progress. The new #SAFit hashtag and the two Facebook groups I joined – Ed’s Student Affairs Health Pledge for 2013 and Student Affairs Runners – became a big part of that movement for me. I really enjoyed sharing this commitment to health with fellow colleagues, particularly runners. 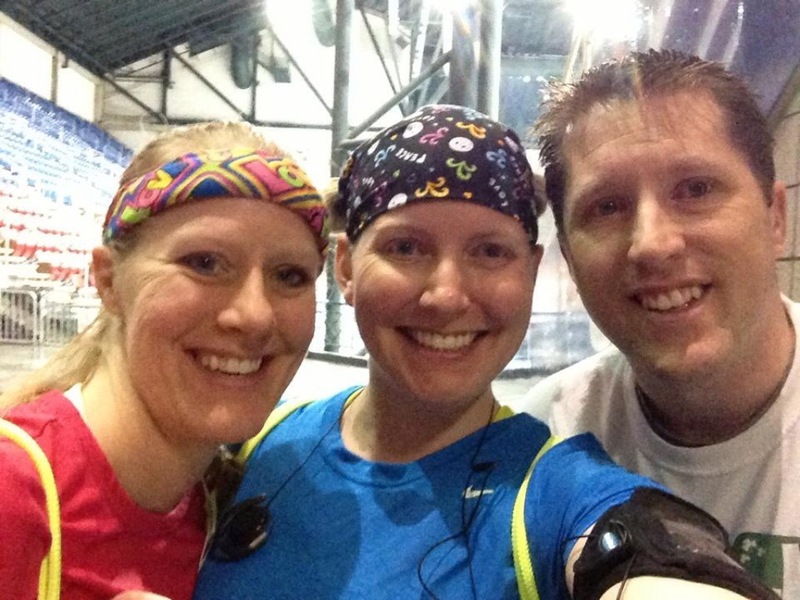 My husband, his two siblings, and I made plans to run the Fargo 1/2 Marathon in May. It fell after we closed the halls, and I was thrilled to train for this run with family. In February, I began my training, using Jeff Galloway’s plan as I had the year before, but with one major tweak: no gym membership; I refused to get back on the treadmill. I wanted to find the peacefulness and mindfulness in running, to discover how people did this for fun and for a personal respite. I hit the road, literally. I bundled up in South Dakota wind and snow to put in the required miles. February went great, and in March, I managed to sneak in a run even during ACPA. Running became a part of me; I finally felt like a runner and looked forward to my time alone on the road to decompress and focus on self-rejuvenation. On April 15, 2013, Patriot’s Day, there was a bombing attack at the Boston Marathon. I always appreciated the community I found among runners, but the strength and love that flowed out of our country’s runners after that day continues to inspire me. An amazing colleague (Becca Obergefell) started a campaign to #RunForBoston, an effort I joined unquestionably. More than ever, I felt part of a strong community. Unfortunately, April also sidelined me with what I thought was plantar fasciitis. It hurt to run and often to walk. I tried to keep going, to put mind over matter, but ultimately, my pain overrode my will. I wanted so badly to complete my second half marathon, but the chances of even starting became more dim as the weeks continued. My husband’s brother was living in Arizona and had an injury, so he wasn’t going to run. 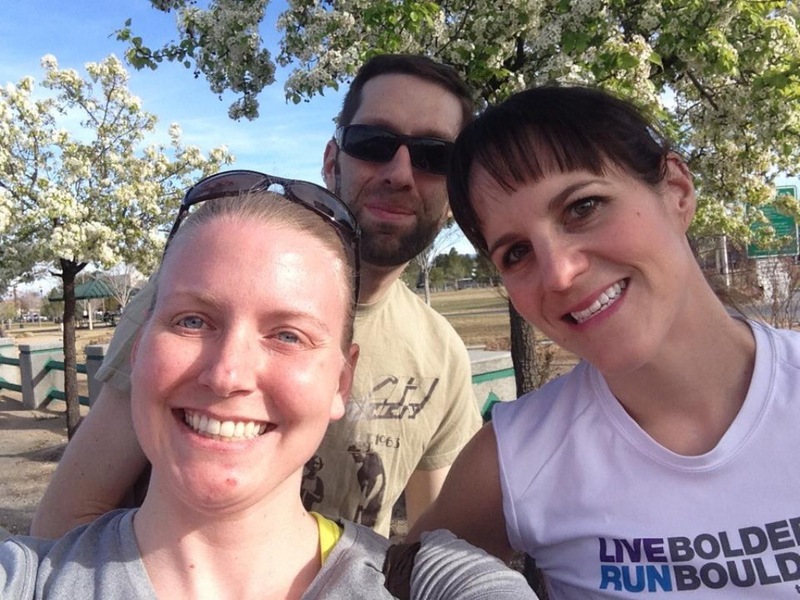 Hubby’s sister had a herniated disc, so running also seemed out of the picture for her. Hubby didn’t want to go up to Fargo to run alone, so we decided to skip the race…until 10 days beforehand when his sister texted about our plans for the night before the race. Not wanting her to race alone, we recommitted to the half. I finished, but it was painful. Not only did my foot hurt, but I had barely run at all in the month leading up to the race, so my entire body was unprepared for putting in a 13.1 mile effort. The pain in my foot shot up through my leg for the second half of the race. Setting a PR was out of the question – I pushed with all I had just to finish, and I did – in 1:56, dressed in blue and yellow and sporting my Fargo Runs for Boston bracelet. In the days after, my whole leg tingled. I finally gave in and went to the doctor, who referred me to a physical therapist. Turns out the problem was unbalanced muscles from one leg to the other, shifting my pelvis out of alignment and wreaking havoc on all my other muscles. With some specified exercises, I was able to get back to running, though was relegated to running only short distances until 2014 – no more than 45 minutes at a time. I began playing sand volleyball and kickball, relishing both the workouts and the time with friends. 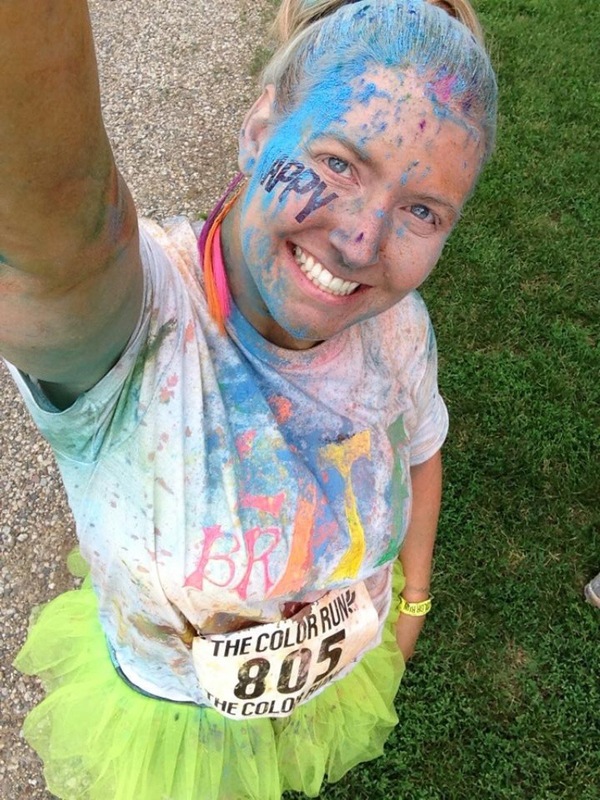 I ran two 5Ks, the Warrior Dash and The Color Run. Both were a blast and though I didn’t set any record times, I had a lot of fun running and embarking on some new experiences. I got to see two new subcultures within the running community, and got covered in mud and powdered color in the process. In September, I sprained my ankle during a walk with Laney (those holes in the grass jump up out of nowhere! ), so I took a break from running. Ultimately, that led me to lifting my ban on a gym membership and I started taking Spinning/Yoga classes at our Wellness Center. This also provided a nice indoor shelter for the subzero temperatures during an unseasonably cold early winter in South Dakota. Being at the gym is sometimes difficult, though; I am used to running solo, so when I am working out with lots of other folks around, it becomes much easier to play the comparison game. I am not a huge fan of getting lapped on the track, seeing other women pedal faster and harder than me, etc., so I have to constantly remind myself that this is my journey, and my journey alone. Nothing overly exciting happened in the late fall with my running, but Thanksgiving brought a new challenge (and an unexpected experience). I saw a post on the SA Runners Facebook group about the Runner’s World Run Streak, a commitment to running at least one mile every day between Thanksgiving and New Year’s. Wanting a new challenge, I piped up and agreed to participate. It has been an incredibly gratifying part of my journey, giving me a renewed love of running! At first, it was easy. Not too far in, I sprained my ankle (playing volleyball). Determined not to give up, I ran the next day anyway (and went to spinning)! Normally, I am a “go to the doctor, rest, rest, and rest some more” kind of injury person. Instead, I took it easy, but pushed my body to recover. In return, I found a strength I didn’t know I had – both mentally and physically. I learned that I can do this every day, and because I can do this every day, I can do pretty much anything. I have really enjoyed the pride I feel in myself and seeing how proud of me my husband is. On top of that, I’m getting faster and feel more physically and mentally fit than I have in a long time. This challenge gave me the opportunity to make a commitment to myself – there was no prize, award, or medal – just an earned confidence. Here is my runstreak: ending the year with a bang! That’s 34 days straight of running at least a mile! I’m so proud of my year of running and looking forward to finishing up my #SAFitRunStreak tomorrow so that I can start 2014 as well as I’m ending 2013. This is a really phenomenal reminder on meeting folks where they are, remembering what we bring to the table (and who invited us to dinner in the first place), and that table manners are learned – not inherent. I am ever-humbled in my work as a social justice educator and I am constantly aware that the more I learn, the more I am confident I don’t know. “Why are you interested in taking on this leadership role within our program?,” I asked the student sitting across the conference room table. “I’m just so much further along the continuum than the other student leaders and participants and I feel that this is the next logical step,” he replied.